Because you deserve an Iconic Address! 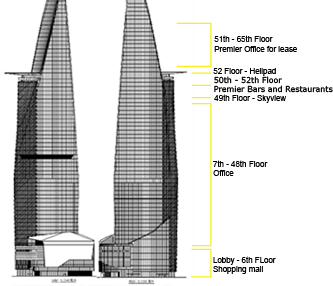 Bitexco Financial Tower, located in the heart of Ho Chi Minh City’s business and entertainment district, has been selected as one of the Top 25 Most Iconic Building’s of the World in 2013. The tallest building in the city, with eye-catching design and built by international contractors supervised by international consultants, managed by expatriates, it’s already meeting the expectations of blue-chip companies from around the world.